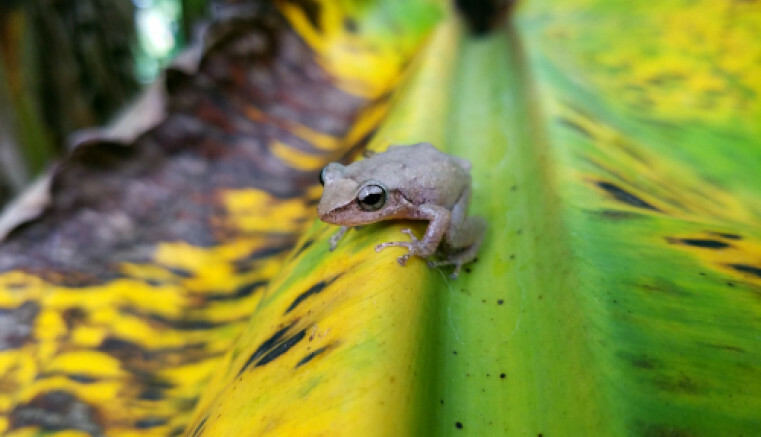 Have you heard about the Coquí of Puerto Rico? Although you may have never heard of this unique amphibian, if you have ever visited the island you have most certainly heard it! These tiny black and yellow frogs can be found on a number of Caribbean islands, but their mighty little voices can only be heard on the island of Puerto Rico. There are over seventeen different species of Coquí and they are quite resilient. Different types of their species have been listed on the endangered list due to deforestation, but have fortunately come back strong and healthy in population. See if you can the spot the Coquí from high above, but be careful not to get caught in a tiny frog shower, as they are known to jump high from the treetops and float to the ground when a predator is sensed. These cute singing frogs represent the heart and soul of Puerto Rican spirit — resilient, strong and always joyful.